Tinh Van Media is a member company of Tinh Van Group, one of Vietnam’s first and most well-established IT companies. Since 1997 it’s been an official partner of IBM, Oracle, Microsoft, Cisco, Intel and more. Building off its parent company’s platform Vinaseek, the first search engine developed in Vietnam, Thanh Van Media launched Xalo, a dedicated search engine for Vietnamese content. 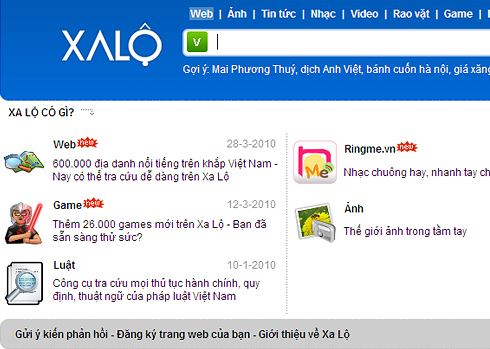 Xalo is the leader in Vietnamese search and one of the most-visited sites in Vietnam, combining a powerful search capability, friendly user interface and robust, frequently updated features. Specialized searches include photos, games, ringtones and Vietnamese legal and administrative documents.